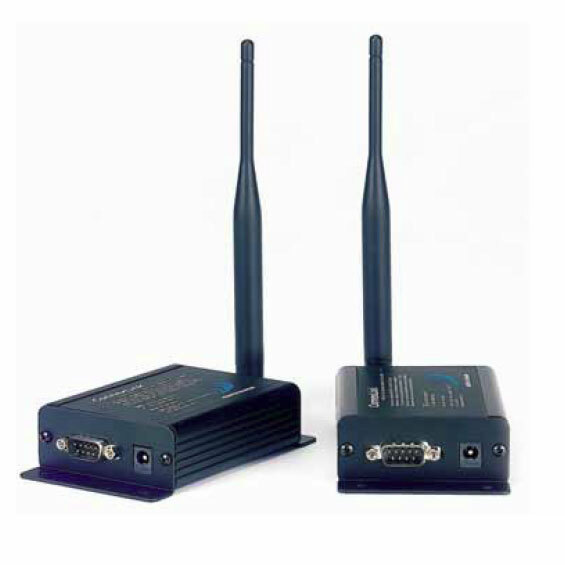 ConnexLink stand-alone radio modules are set up in minutes to cut the cables between RS232 or RS485 devices. Their flexibility and economic price allow users to quickly upgrade wired terminals to cordless operation in industrial commercial and residential applications. Powered by a 100mW 2.4GHz radio or a 1000mW 900MHz radio each unit is small and easily portable for use in mobile and temporary settings as well as fixed installations. Optional software enables custom configurations based on user needs. ConnexLink implements a proprietary communication protocol to provide secure local data transmissions. Because it uses FHSS technology the data remains reliable over distances of up to 20 miles (32 km) line-of sight (900MHz version). Use of license-free frequency bands ensures that units are ready to use with no further certification requirements. Every unit is backed by a full one-year warranty. ConnexLink radio modules provide simple elimination of cables with a wireless link replacement. Every unit is backed by a full one year warranty. For first-time configuration of ConnexLink, download the ConnexLink Setup Wizard. Note: This product has reached end of production and is available on a limited basis only.